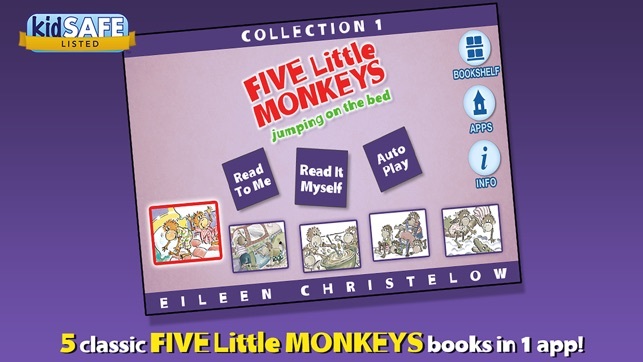 Dive into 5 exciting interactive book apps featuring the Five Little Monkeys- a group of clumsy but well-intentioned little monkeys who don't always get things exactly right, but always have a good time! 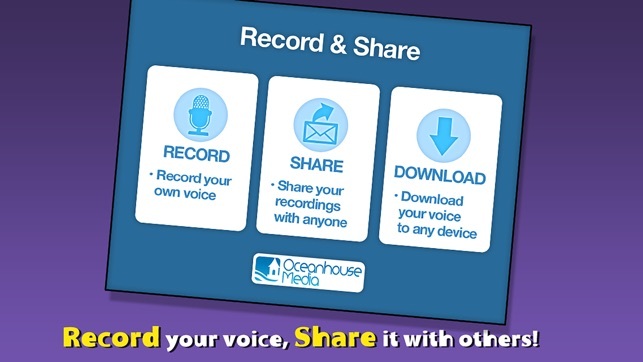 Explore pictures, learn new vocabulary, and personalize each story with your own narration. Enjoy Five Little Monkeys Jumping on the Bed, Five Little Monkeys Bake a Birthday Cake, Five Little Monkeys Wash the Car, Five Little Monkeys Sitting in a Tree, and Five Little Monkeys With Nothing to Do, all in one convenient place. 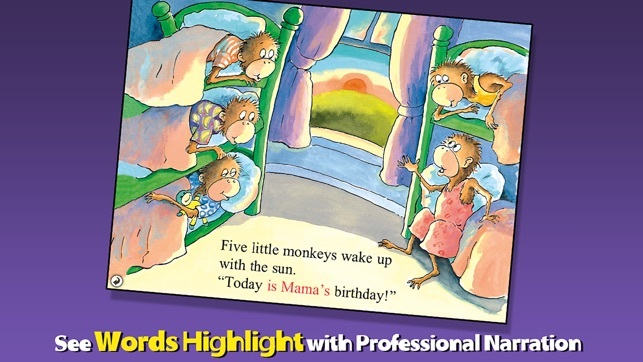 -Five Little Monkeys Jumping on the Bed is a charming bedtime story sure to send children giggling off to bed . . . hopefully without any clever new ideas! -Five Little Monkeys Bake a Birthday Cake finds the monkeys cooking up a special surprise in the kitchen. 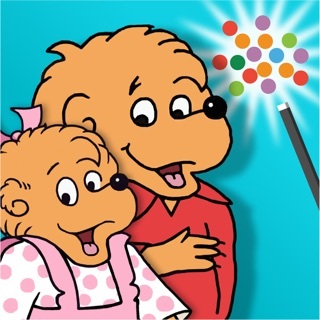 But in the end, they're the ones who get the big surprise! -Five Little Monkeys Wash the Car proves that with determination, team work, and a little bit of luck, nearly any task is possible! 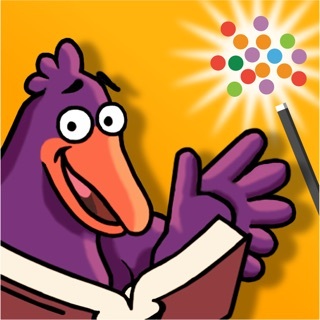 -Five Little Monkeys Sitting in a Tree teaches the monkeys a lesson in teasing (and hiding) when Mr. Crocodile SNAPS at them with his sharp teeth! 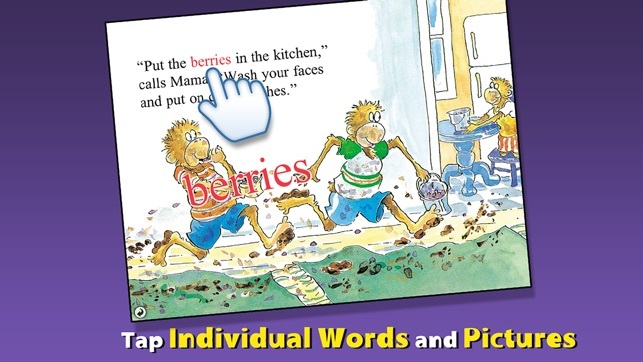 -Five Little Monkeys With Nothing to Do follows the monkeys as they enthusiastically scrub the house for Grandma Beesie's visit. But amid the excitement, a few things get overlooked!